Are you looking for the perfect pair of work pants? They have to be fire-resistant and tough while also being comfortable and functional, and sometimes that can be difficult to find in a single pair. Look no further; you've found exactly what you've been searching ... (see full details) (see specifications) #10017227. Are you looking for the perfect pair of work pants? They have to be fire-resistant and tough while also being comfortable and functional, and sometimes that can be difficult to find in a single pair. Look no further; you've found exactly what you've been searching for in these Ariat Work FR Pants Men's M4 Workhorse FR 10017227 Khaki Boot Cut Low Rise Pants. While these Ariat flame-resistant work pants have many great qualities, the best one is its fire-resistant ability that's capable of meeting safety regulations. It meets the NFPA 2112 and NFPA 70E standards for fire safety to provide a superior level of protection for you when you're at your workplace. The National Fire Protection Agency's 70E is a standard for electrical safety requirements for employee workplaces where there may be arc flashes. For oil and petroleum industries, the 2112 regulation mandates that employees must wear flame-resistant workwear if there's a risk of flash fires. Furthermore, these men's khaki boot cut pants have an ATPV rating of 12.7. The ATPV is a rating assigned to flame-resistant clothing, which indicates the level of protection the wearer is provided. It has yet another rating to assess how protected you are against fire, and this product rates at HRC (Hazard Risk Category) level 2. The HRC is used to define the necessary arc rating of an article of clothing worn under potentially hazardous work conditions, and it ranges from HRC 1, or low risk, to HRC 4, or high risk. But these Ariat M4 Workhorse FR pants aren't just tough because they're fire-resistant. They're made with working people in mind. Their features were included to prove just how reliable and strong they are. For starters, this product has anchored belt loops for extra belt support. These FR low rise pants also feature heavy-duty zippers and hardware for long-lasting quality that makes this product stand out from the rest. They include assorted multi-purpose pockets, including a knife/flashlight pocket, a hidden phone pocket, and a multi-tool pocket. Aside from pockets, you’ll also find a useful flat hammer loop to store your trusted tool. The reinforced hem guard provides durability, while layered back pockets provide security for whatever you tuck away in them. Talk about reliability and versatility in a product! Don't let the toughness of these khaki men's pants fool you. They're extremely comfortable, too. This product features no-rub comfort inseams to make sure you’re not restricted in your movements while you're working. These rugged flame-resistant pants are made with 88% cotton and 12% nylon. The 11-ounce cotton canvas blend is sure to be soft against your skin, while the nylon is durable so these Ariat pants can go the distance. Perhaps you want your appearance to match your work ethic. With this flame-resistant men's workwear, it will. This style comes in a dependable cotton canvas, and it will boost your professional look because these come in a khaki wash. They have a low rise waist while featuring a boot cut design for a relaxed fit providing you with ease of movement. So if you’re looking for comfortable, fire-resistant, functional work pants, you won’t find a pair better than these Ariat Work FR Pants Men's M4 Workhorse FR 10017227 Khaki Boot Cut Lowrise Pants from Working Person's Store. Place your order with us today! I am required to wear a pair of khaki tactical style pants and finding a pair that is great for the range is a bonus. These meet every requirement and being fire resistant I can wear them everyday. i wish that they came with cargo pockets and in other colors but for now I will make due with what is available. I have worn flame resistant jeans for so long that I didn't even know that they made anything else until i received these as a gift. They are very lightweight which I appreciate and are very comfortable. They don't bunch up when squatting or stretching. My only complaint is that they need cargo pockets. Fit on these pants are good. They are not too long as was with previous purchases of these. Order your normal length. These are very light and comfortable. Great for warmer climates. I wish they offered these pants in black. The extra material at the bottom ankle area really helps with durability due to boot wear. 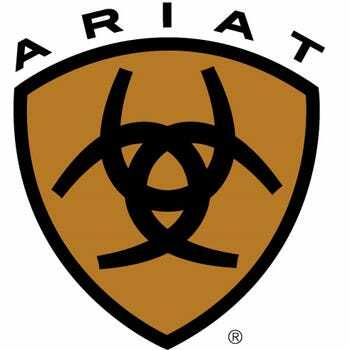 Ariat Work FR Pants: Men's M4 Workhorse FR 10017227 Khaki Boot Cut Lowrise Pants is being added to your cart.